South Carolina Attorney General Alan Wilson has beaten U.S. Attorney General Eric Holder once again in the voter ID litigation bowl, this time in a dispute over costs. On Friday, January 4, a three-judge panel of the District of Columbia federal court declared that South Carolina was the “prevailing party” under an applicable federal statute that allows the state to obtain reimbursement for its litigation costs from not only the Justice Department (DOJ), but the so-called civil rights organizations like the NAACP and the South Carolina Progressive Network that intervened in the lawsuit to stop the state’s voter ID statute. The expenses for which South Carolina was seeking reimbursement are relatively minor in comparison to the overall expenses that the state incurred successfully fighting the DOJ. The court awarded South Carolina the costs of various transcripts of depositions, hearings, the trial, and the audio recordings of the legislative history of the voter ID law. According to Wilson, the state spent $3.5 million in total on costs and attorneys’ fees. In fact, the NAACP independent auditors’ report for 2011 shows almost $14 million in total assets, so the organization’s claim made to a federal court that it cannot pay such costs was highly questionable. On October 10, 2012, Holder’s Justice Department lost the original lawsuit that Wilson filed to overturn the DOJ’s spurious objection to South Carolina’s voter ID law. The objection was raised by the DOJ’s Assistant Attorney General for Civil Rights, Thomas Perez, with the approval of Attorney General Holder. Under an “emergency” provision of the Voting Rights Act of 1965 that was supposed to expire in 1970 (but has been extended several times since then), such an objection from the DOJ can automatically block a state law unless the state files suit in a court in Washington, D.C., and prevails. Given South Carolina’s sensible law—which expanded the kinds of photo IDs that could be used to vote and made it easier to obtain a free ID—the same three-judge panel that ruled in favor of South Carolina regarding reimbursement ruled that voter ID was not discriminatory under Section 5 of the Voting Rights Act as the DOJ had claimed. But by then it was too late to implement the lawful state voter ID law in time for the November election. This case illustrates two things. One is how expensive it can be to take on the U.S. Justice Department, even when the DOJ is wrong. Two is how additional facts show that ideology and politics drive the Holder Justice Department rather than the rule of law. This was aptly illustrated not just by the DOJ losing a very weak case where the facts and legal precedent were squarely against it, but by the Civil Rights Division then giving one of its highest awards, the Walter W. Barnett Memorial Award, on November 28 to the leading DOJ trial lawyer after he lost the South Carolina voter ID case. So while taxpayers are stuck reimbursing South Carolina for the Justice Department’s share of its costs, the DOJ lawyers responsible for losing the case and pushing the DOJ’s unwarranted objection are rewarded. One suspects the award was just another way for the Holder Justice Department to signal its employees and liberal activist allies that it does not care what the rule of law requires. It will continue to use the levers of power for its own ideological or partisan ends—unless and until the people or the courts stop them. 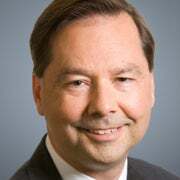 Hans A. von Spakovsky is a Senior Legal Fellow at the Heritage Foundation (Twitter @HvonSpakovsky). He is the co-author of Who’s Counting? How Fraudsters and Bureaucrats Put Your Vote At Risk (Encounter Books 2012).